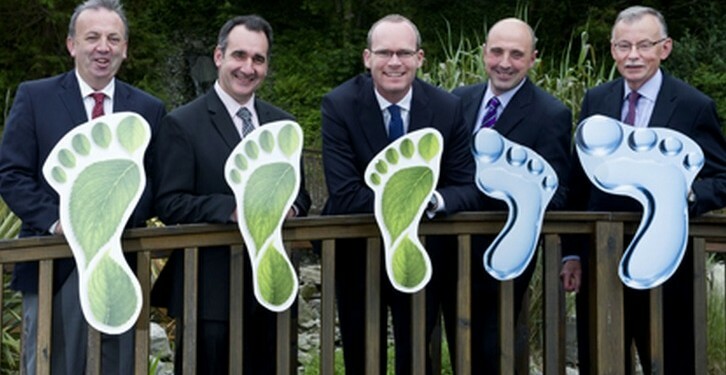 Minister for Agriculture, Food and the Marine, Simon Coveney yesterday launched Carbery Group’s innovative ‘Greener Dairy Farms Project’ at Fernhill Hotel, Clonakilty, Co. Cork. This project, the first of its kind in Ireland, aims to identify practical ways to help milk suppliers improve their environmental and economic sustainability. 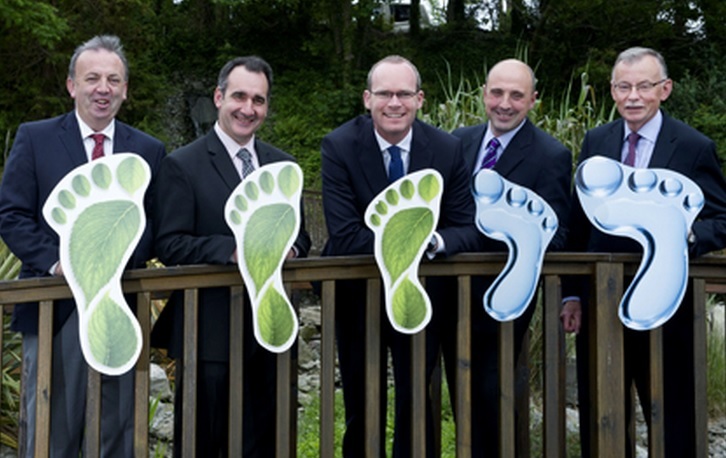 Carbery Group is headquartered in Ballineen, West Cork, and owned by Bandon, Barryroe, Drinagh and Lisavaird Co-ops. Data collecting and analysis for the Greener Dairy Farms Project is currently being conducted by Teagasc, on behalf of Carbery Group, on initially 14, now 20 West Cork farms. The project aims to identify specific technologies and management changes that could be carried out on farms to improve the efficient use of resources and reduce the impact on the environment. Some of the techniques used so far to identify areas of potential improvement include; Energy Audits, which analyse energy costs; the calculation of carbon footprint and use of the ‘Carbon Navigator’; completion of Sustainability Plans which analyse areas where carbon footprint could be reduced, such as breeding (EBI), calving interval, feed and fertilizer usage, the monitoring of farm outputs, nutrient management advice and grassland management advice. Both the Carbon Navigator and the Sustainability Plans link potential improvement to greenhouse gas reductions and financial gain. Carbery Group is confident that the implementation of the findings from this project by the wider dairy community, will improve the cost base of their suppliers in a real and measureable way. A Farm Walk on the farm of Michael and Marguerite Crowley, Bauravilla, Skibbereen, Co. Cork explaining the project in more detail, will take place on the 1st July starting at 11 am. Soil fertility was identified as needing to be improved, with 87% of soils tested being low in either an essential nutrient or being too acidic. Electricity costs varied greatly –from 0.37 cent/litre to 0.63 cent/litre. Taking the average numbers of litres produced in the group, this signifies a difference of almost €1,400. The reasons for this variation were explored in detail.